The BBC’s Zia Shahreyar, speaking from the scene, says it is not easy to get through the checkpoints. Cars are searched and drivers’ identities checked. He adds that questions will be asked about how the attacker got through. 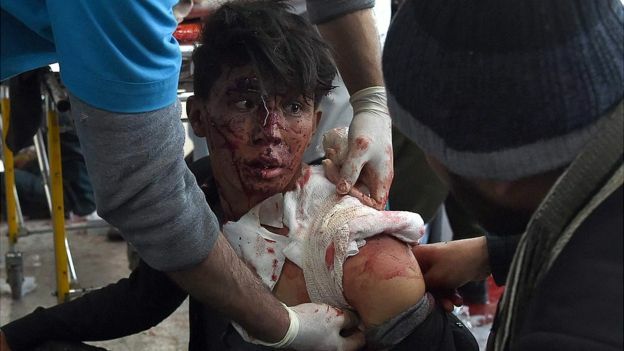 The International Committee of the Red Cross said the use of an ambulance was “harrowing”. 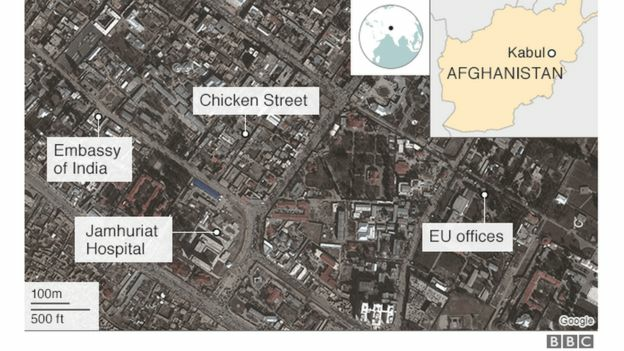 MP Mirwais Yasini told the BBC the area looked like a butcher’s afterwards. Another witness, a software engineer who wished to remain anonymous, told the BBC he was about a 1km away when he heard the noise. He said when he moved closer he saw the dead bodies, and it looked like a “brutal graveyard”. What is the reaction in the rest of the world? In a statement, US President Donald Trump called for “decisive action” against the Taliban. 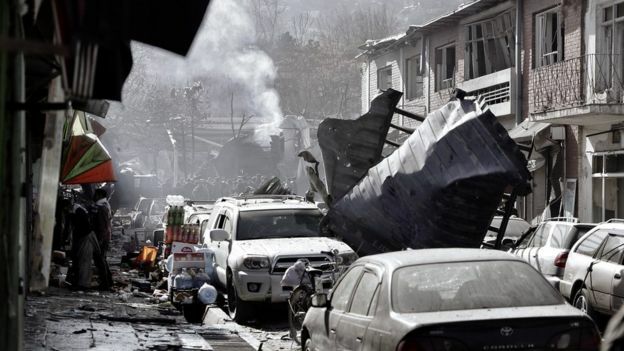 “I condemn the despicable car bombing attack in Kabul today that has left scores of innocent civilians dead and hundreds injured. 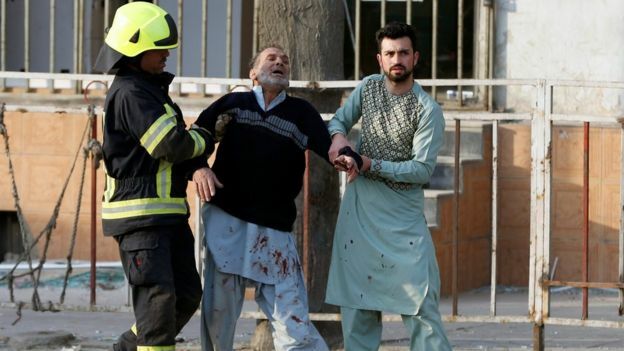 This murderous attack renews our resolve and that of our Afghan partners,” he said. In France, the Eiffel Tower will turn off its lights on Saturday night as a mark of respect for the dead and injured. Paris Mayor Anne Hidalgo made the announcement on Twitter. “The city of Paris and Parisians are with the Afghan people who are once again facing terrorist barbarity,” she said. 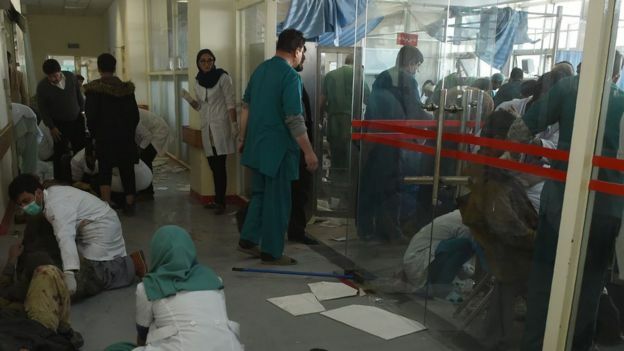 In October, 176 people were killed in bomb attacks across Afghanistan in one week. 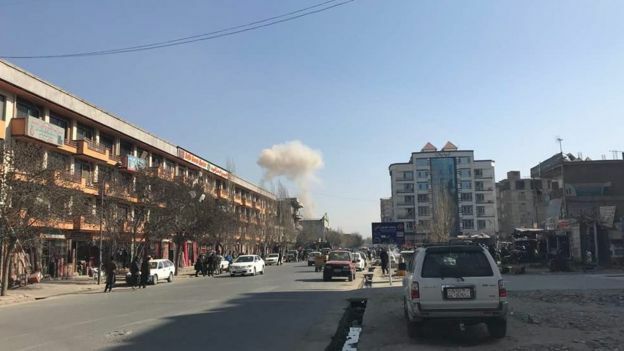 The country’s security forces in particular have suffered heavy casualties at the hands of the Taliban, who want to re-impose their strict version of Islamic law in the country.